Last week, I found myself blogging my soul inside out. This week, I’m back to writing beauty reviews. Such is the life of a writer! However, I always choose which products I want to write about and I never write about a product I don’t already have in my home. This is no different. 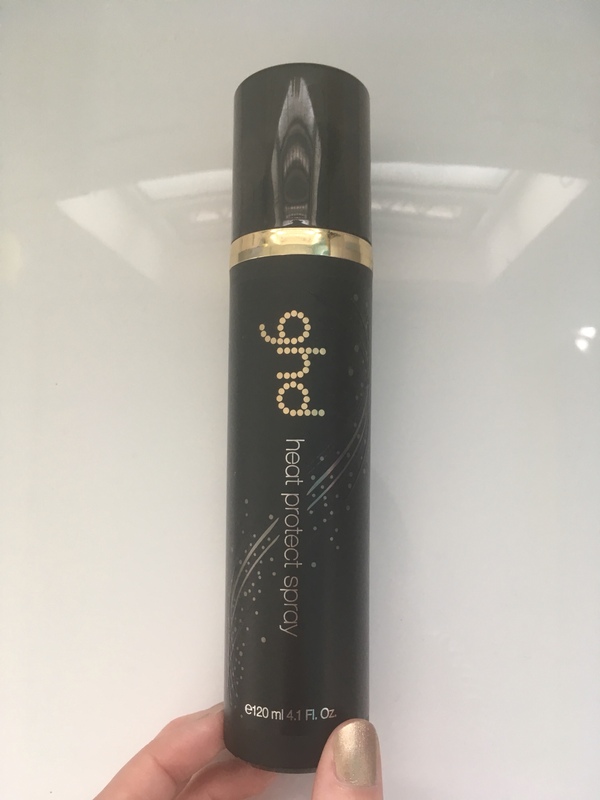 I’ve been using GHD Heat Protect Spray for years and before that I used their iron oil. As someone who straightens every day, this is a product I can speak about with some authority. I buy a 120ml bottle from Amazon, mostly because it’s not available in high street shops like Superdrug. 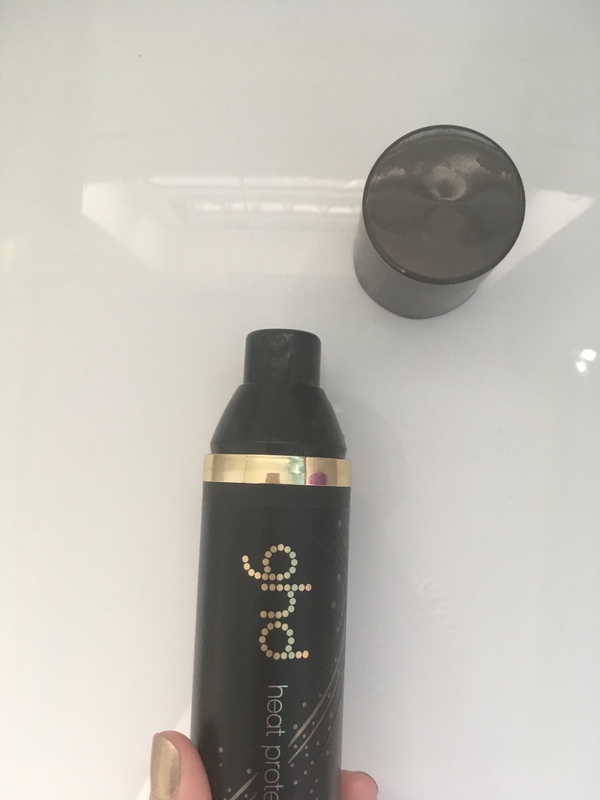 However, if your local salon stocks GHD products they might be able to sell you a bottle. I know of at least three or four salons in my local area that sell this, but I choose Amazon because they allow me to subscribe and have it sent to me without me having to do anything. It basically encourages my laziness. From a really superficial point of view, one of the things I like about this brand as opposed to cheaper, more readily available brands, is the way their products are packaged. The bottle is a really elegant black and gold and the design on the front of the bottle is embossed. It makes absolutely no difference and like I say, it is a superficial thing but I really like the way it looks on my bathroom shelf. You might be one of many people who don’t use products on her hair when styling, but you should. These products offer protection from the super-high heat that GHD straighteners blast onto your hair. You may notice that I particularly mentioned that brand because that’s the one that I use and have always used. I just haven’t found any other straighteners on the market that do as good a job as them. I’ve been using them since 2005 and I don’t see myself ever changing. It’s also just occurred to me that in America they aren’t called straighteners. I’ve heard them called flat irons, but I don’t know if that is common or just something that particular person said. I think the name is self-explanatory though. Anyway, back to the Heat Protect Spray. It can be used before or after blow-drying but I would say it should always be used immediately before straightening, even if you’ve used it before drying. That’s because whenever I’ve tried to straighten without the spray, like if I run out and haven’t had my delivery yet, my hair has some little frizzies sticking out. It helps you to tame those and keep your hair looking as smooth as possible. This product has a really soapy smell. I find it quite pleasant and it fades quickly once it’s on my hair, but it won’t be for everyone, especially those who are sensitive to fragrance. It’s hardly surprising that it’s so pungent when you look at the ingredients. It’s fourth on the list and the list is long! While we’re discussing ingredients, I thought it might be worth noting that the only oil I can see in this is castor oil. I always avoid nut-based oils, whether they’re from peanuts or tree nuts. In the last few years, there has been a huge amount of products coming to the market featuring argon oil, which is a tree nut. Even some of my favourite products, like Elnett hairspray has changed its formula to add argon oil. While I have no doubts that it is a cheap and healthy oil to use, I don’t want it. This has limited my choices significantly. The one thing I do see on the ingredients list that some people may want to avoid is wheat protein. I don’t know if people with wheat allergies need to avoid it in beauty products the way that I have to avoid eggs in beauty products. Surprisingly, there are lots of shampoos with egg in them. However, I thought it was worth mentioning, just in case it is something that people might want to know. This bottle is 120mls or 4.1fl oz and lasts me for around 9 months because I have very fine hair. Those with thicker hair might want to budget for purchasing it more often. I’ve tried a couple of other brands, like Tresemme, but I just don’t find that they give the same effects. I like this because my hair is glossy, stays straight and doesn’t frizz until the next wash and the nozzle distributes the product evenly on my hair. That’s really important to me. 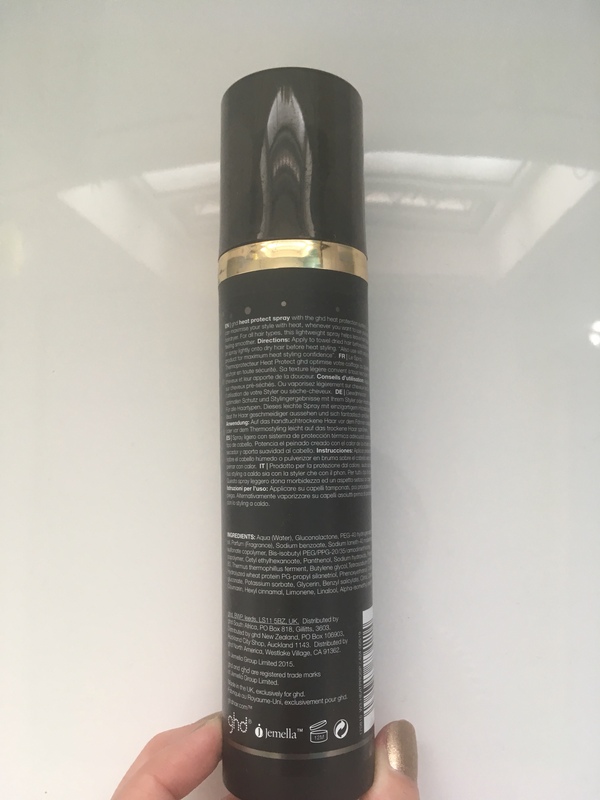 It costs around £10 for a bottle this size, which is more than I would like to pay ideally, but I’m willing to pay it because I know I’m getting a good quality product. If you’d like to try it, you can check it out on Amazon, where it’s around £10 in the UK but costs slightly more in the international store at $20. What do you use on your hair for heat protection?